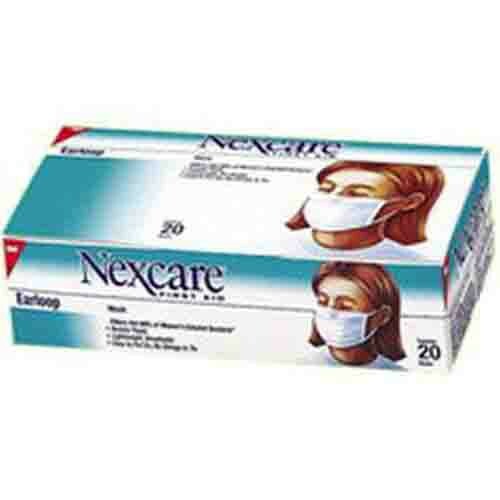 3M Nexcare™ Earloop Mask is fluid resistant, single-use mask that filters 99 percent of bacteria exhaled by the wearer. Helps reduce exposure of wearer to splashes of blood and body fluids. Ideal for home healthcare use. 3M Nexcare™ Earloop Mask is lightweight and breathable. Easy to put on with no strings to tie.